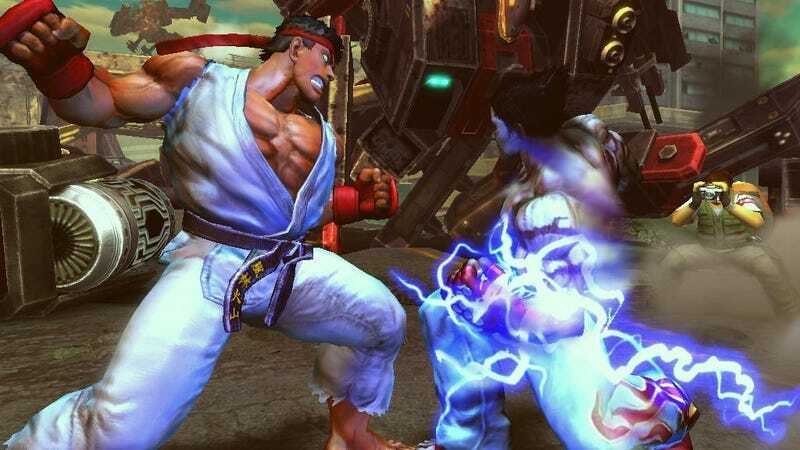 Those who preordered Street Fighter X Tekken on the PS Vita didn't receive all of the downloadable content bonuses—alternate costumes and additional characters—promised to them. It's been three days without a definitive answer for what the heck is going on, although Capcom, via Twitter, acknowledged over Twitter that "we're aware of the DLC redemption issues and are working with Sony on a solution. You will receive your content." Basically, Vita players were promised 12 new characters (the DLC characters of the console version), 12 alternate costumes for those characters (a pre-order bonus), and then 38 alternate costumes for the characters in the original main roster. The PSN redemption code contained in the game's retail version gave them only the 12 alternate costumes, literally just the preorder bonus. No additional characters or costumes. Capcom has a really short leash on disappointments of this sort, considering that nearly all DLC in Street Fighter X Tekken's console version was locked on the disc, an incredibly cynical practice that Capcom said it would "re-evaluate" in light of gamer outrage. For now, Capcom has vowed that everyone will get the downloadable content to which they are entitled. There's just no word on when that will be delivered.